I'm pretty new to this, and have had a few sales in the last year. But I'm looking to majorly improve what I have up and boost my sales as much as possible. Is a lack of sales just a bulk problem? (which I'm working on, I only have around 250 photos at the moment) - or is it more to do with how I'm tagging and captioning images? 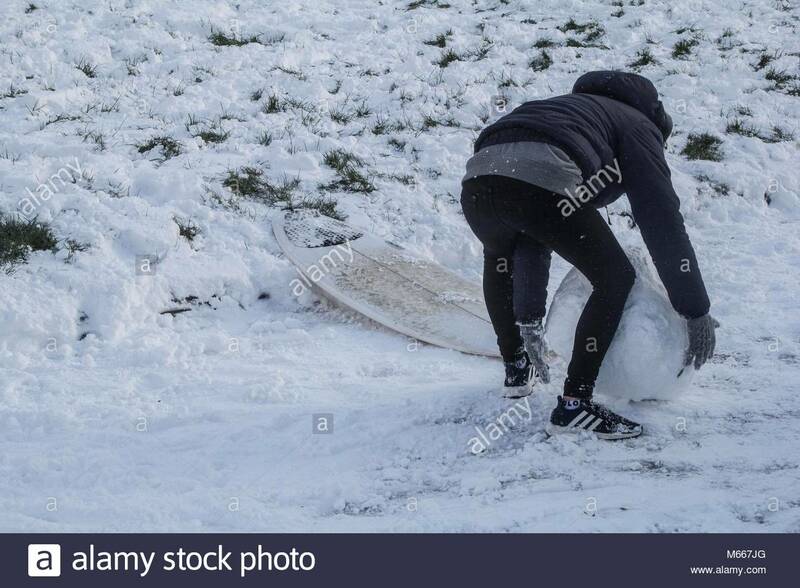 Hi Cbridges - just a brief question - were the images of snow in Falmouth, Cornwall put up originally via Alamy News, or simply editorial? KFMP0K and HT25EA were stand out images for me. Some of the others could benefit from more contrast though (that's meant to be helpful not negative). You're a good shooter with a good eye and visually sensitive. For stock, you might want to consider adding more of a subject mix, something else besides landscape art images. Good luck. I was attracted to M4MX9W because of the paw prints (crazy about animals) and saw that the keywords were truly bad, bad, bad. Sorry, but it's true. All sorts of words that don't describe the image and nothing about the animal tracks. I didn't look further but I suspect you have a lot of that unless you just got caught in the nasty way the Image Manager carries keywords from one image onto another if you don't deselect after finishing work on an image. I think proper keywording is at least as important as having good images. Hope I wasn't too harsh but there is little hope of selling without good keywording. More brilliance (brightness, colour, contrast) in many of the images would be great (you will probbably need to calibrate your screen). More variety in your port and in the line of what Paulette said, proper keywording makes most of the sales. I looked at a couple of your flowers and you have "daisy" in there on the ones I looked at and they aren't daisies. You need to have the common and latin names for your flowers. And the focus is way too narrow to sell. Arty, but unlikely a flower publication would buy such tight closeups with such a narrow focus. Think like a photo editor who is trying to find an image to accompany an article about your subject. And Niels is right. Post Processing skills are almost as important as the image itself. You have to stand out among an ocean of images. You have an interesting port. As others have said, you will have more chance of sales with more detailed and accurate keywording and captions. I saw one titled "monkey in captivity". What kind of monkey, where was it in captivity? That information should be in there. Also, there are some studio shots, e.g. of a hand holding a snail, HWGP3E. It would benefit you to include a model release for this kind of image. Also for that image there are unnecessary keywords, like "canon", and incorrect keywords, like "backyard" and "rain". Ones that should be in there but are missing are the species of snail. Also think about how that image might be used. Would it be useful to illustrate a story or article, or is it just an interesting photo in and of itself. For stock, you usually want your images to be the former. I agree with all of the above. Before you upload more, go back and seriously address your captions and tags before it becomes too big a job that you avoid doing because it’s too tedious. Make sure you have properly uunderstood how AIM works so you don’t accidentally add incorrect tags. You have many irrelevant tags (eg beach for a town street) and some that are important are missing. Include locations and scientific names for plants in your captions. The Winter ones are a bit on the dark and dull side for my liking. There is one that’s just sea water and nothing else. What would it be used for? When I started out I had some photos like that, mostly now deleted. The best advice I read in these forums was to think like someone who is searching for an image. What would they need, why would they need it and what words would they use to search for it? Thank you all, this is insanely helpful! I think back when I was started I was too focussed on getting photographs with enough keywords to be in the 'high discoverability' section - completely counterproductive if the keywords aren't correctly formulated. Also been a little scared of the QC editing restrictions in the past, although I think in my recent batch I got a feel for it. Will need to go weed through my collection definitely - I'm just having such a hard time coming up with 60 odd relevant key words for a seemingly simple photo....i.e, a landscape.The job seems completely tedious, which is how I end up with irrelevant words. Thank you though - any criticism is helpful, I am at the end of the day trying to improve my stock. @Doc that batch was just uploaded as editorial, although I'm assuming alamy news might have been better? Positive criticism: The close up images of flowers are colourful and well exposed but ideally need to have greater depth of field/focus. Also, they need to have their latin name and their popular name in the caption and in the keywords. For example your image M61J3A, is captioned "flowers at the Eden Project", but it is a close up, with no evidence of the Eden Project - they could be anywhere. If anyone is going to buy this image they will buy it for an image of these flowers they want to use, not the Eden Project, but you don't have the name or the latin name for them. Remember, the search engine puts as much importance on words/phrases in the caption as it does even on the supertags, so use the caption well. Your first page of rather dull grey winter days in Falmouth would be more likely to sell if they went to Alamy News, but not really as editorial - yes one or two might sell, but in general good weather sells much better than bad. Also many of the images look underexposed and of low contrast - need to do some work in an image editor. Image M64T3C of the gull, for example, is underexposed and low contrast, but also has the caption "Stormy weather sends snow to the coast of Falmouth", and has amongst its' tags: "sailboats in the snow", "waves", "landscape" and "docks"
I suspect you have fallen victim to the new Alamy AIM and have not deselected one image before tagging another. This will harm your rank as images will turn up in searches which are irrelevant. Hope this hasn't been off-putting, but if you want to make a go of this, then these are things to get a handle on! I'm just having such a hard time coming up with 60 odd relevant key words for a seemingly simple photo....i.e, a landscape.The job seems completely tedious, which is how I end up with irrelevant words. You don't need to have the maximum keywords for every image, or any image for that matter. As long as you have sufficient keywords to accurately describe what is in your image, that is fine. Always add plurals (e.g., fern and ferns, shrub and shrubs) because alamy's search system doesn't automatically do that. Just taken a look, some nice compositions but many are, in my view, too dark. Bright and snappy generally wins over dark and morose. There are no true whites (or blacks) in this photo and the whole thing is skewed to the dark side. Suggest that you use the histogram to ensure that you have a balanced range of tones and then add a touch of mid tone contrast. How you do this depends on the software that you have available, I would use Lightroom to set the exposure and white and blacks followed by Photoshop adjustment levels and curves, but there are many ways of achieving the result. Should you elect to re-work some of your photos, Alamy will delete the duplicates for you, if you ask nicely. I have noticed that this is common amongst new contributors here, although the last person I gave advice to said that my pics were too bright! @Doc and @Bryan Thanks for that, that batch of images I was all selling to newspapers at the time, so threw them on alamy quickly one afternoon just as an afterthought. Looking back at them now could probably get rid of most of them as they're not really the photography I do or like anyway. @NYCat After checking through AIM, I've found I've definitely fallen prey to the deselection process - I found desert pictures with 'snow' tags, so Im definitely going to have to sit and go through re tagging everything before I carry on uploading. Thank you though - I probably would have never thought to check if you guys hadn't said something.